Britain has been brewing beer for hundreds of years, the art dates back to before the Domesday Book. Until the middle of the C20th most towns had a local brewery, many of them independent family firms. Sadly, mergers and takeovers of big international brands has seen a lot of them disappear. In recent years breweries have made an incredible come back with the help of the Campaign for Real Ale. The UK now boasts over 2,000 breweries; that’s more breweries per head than any other country in the world! 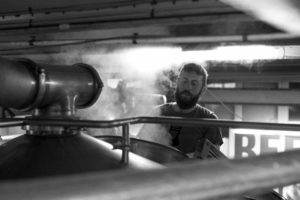 Due to the huge growth of the brewing industry, dozens of towns across Britain have brewers offering brewery tours. Here are some of Britain’s most famous brewery towns. Ensure to make a visit, and don’t miss the chance to drop in to the breweries. Creating a brewery trail around the country is a great way to see Britain’s towns and try the local beer. The picturesque market town of Faversham sits between the Kent downs and the coastal wetlands. Dating back to before the roman conquest, the town has gracefully preserved its rich history. 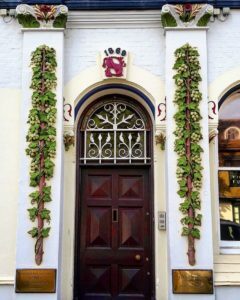 Idyllically located within a hop-growing environment, Faversham has become renown for its beer. The Shepherd Neame brewery is famous for being the oldest brewery in Britain. The Shepherd Neame brewery was officially founded in 1698. The extensive brewing past in the town, creates a heaven for historians who want to quench their thirst. Often referred to as one of Britain’s most trendy cities, Bristol is a thriving metropolis in South West England. Due to the growing alternative indie culture, the town is now bursting with independent breweries. Bristol may be famous for its cider, however the town is also home to some award winning beers. One of the town’s favourite breweries is Bristol Beer Factory. Starting its life in 2004, this brewery is proud to be part of the ‘craft beer revolution’ sweeping the country. The brewery has developed a range of bottled ales, cask ales and some quirky specials. Famous for its royal connections, the historic town of Windsor sits just beneath The River Thames. Windsor Castle distinctly homes the British Royal Family. And is the oldest and largest occupied castle in the world. Brewing has recently made a welcome return to the heart of Windsor. Windsor and Eton Brewery want beer to become the new main attraction in the town. You can feel royalty in the air in Windsor, and now you can even taste it in the beer. 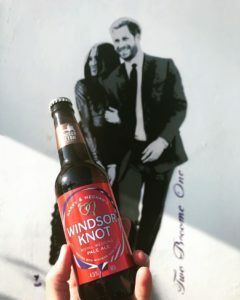 ‘Harry & Megan’s Windsor Knot’ is a unique bottled beer dedicated to the couple. The beer is a blend of American and British hops to celebrate the royal wedding. The home of time, and the prime meridian of the world. Greenwich is an area in South East London. Sitting on the bank of The River Thames and Greenwich mean time (GMT). Famous for its maritime history the Cutty Sark and Gipsy Moth IV are both here by the river. Additionally Greenwich is home to the National Maritime Museum. Meantime Brewing Company claims to be the home of London beer. Notable beers such as London Lager and London Pale Ale are core favourites. The brewery offers tours, tasting, and even masterclasses. Referred to as the Cornish Riviera, St Austell is an old market town not far from the beautiful South Cornish coast line. The discovery of China clay in the surrounding area put the mining town on the map. In recent years tourists flock to St Austell to visit the nearby Eden Project. Beside mining, brewing is another historical industry founded in 1851. 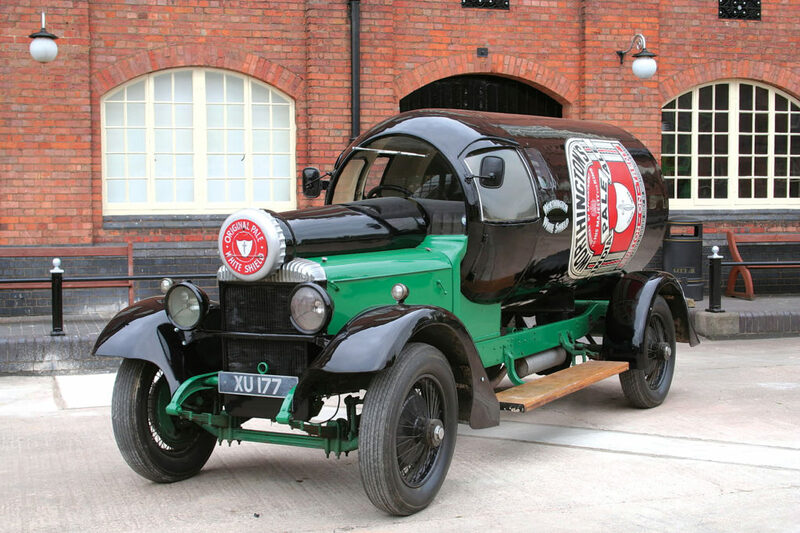 St Austell Brewery is Cornwall’s oldest independent family brewery. And has been brewing on the same site for over 100 years. Devizes is a vibrant market town with a medieval past, a wealth of history and architectural heritage. The market place rates as one of the prettiest streets in Britain. The brewery is a dominant feature of the town. 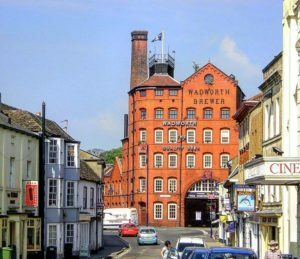 Tours are available of Wadworth Brewery. Sample their famous 6X, see a unique collection of hand painted pub signs and meet the Shire horses that still deliver beer to the local pubs in the town. Situated in the North of Wiltshire, Cricklade is a rare example of a preserved Saxon town. Also the first town built on the River Thames and a gateway to the Cotswolds. The name Cricklade means the place by the river crossing. The Town motto is ‘in loco delicioso’ which translates to in a delightful place. The town is steeped in history, and has many landmarks. It was home to a royal mint from 979 to 1100 and there are examples of Cricklade coins in the town museum. Hop Kettle Brewery is the towns local brewer. Located in The Red lion Inn, the pub remains self sufficient. Producing a variety of unique in-house beers. The pub itself dates back to the 1600’s, so character is not lacking in this charming microbrewery. With a Charter dating back to 1240, King Henry III gave the Knights Templar the rights to hold a market in Wetherby. Traditionally the market operates on a Thursday. Wetherby, an important halt exactly half way between London and Edinburgh. Today, traffic passes the town on the A1, resulting in a peaceful market town. 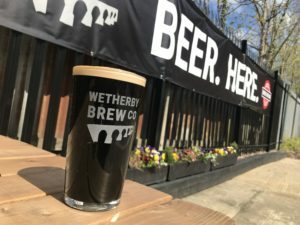 After an absence of nearly 100 years, Wetherby has its own brewery. Based on York Road Wetherby Brew Co, offers a range of ales for every occasion. The brewery regularly offers open days. Visitors can watch the brewing process and even sample beers in the tap room bar. Set in the heart of the Oxfordshire Cotswolds, Witney is a historical market town famous for its three B’s. its Bread, its Blankets and its Beer. Brewing dates back centuries in Witney to 1841. 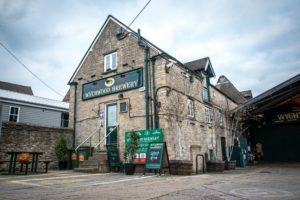 Wychwood Brewery is now the towns largest brewery. It is named after the ancient medieval Wychwood Forest that boarders Witney. The forest is noted for it’s myths and legends. The forest inspired the creation of its flagship beer, The legendary Hobgoblin. The beer is currently the 3rd best selling bottled ale in the UK. 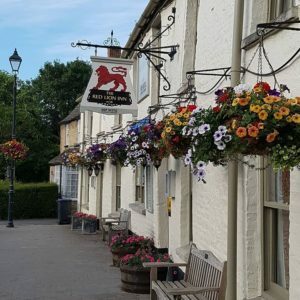 Hook Norton is a quintessential English village, 20 minutes from the historical town of Banbury. The town was established as a civil parish in Anglo-Saxon times. The village sits in North Oxfordshire, at one of the highest points in the county. Home to one of the oldest victorian tower breweries in Britain. 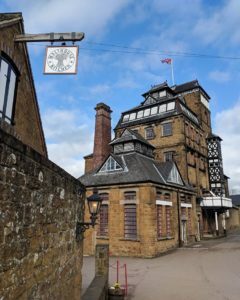 Hook Norton Brewery is a traditional example of brewing using gravity. 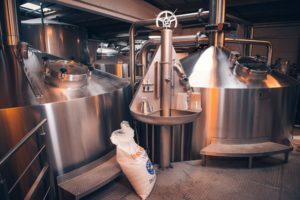 Tower breweries use a multi-staged flow process, gravity helps the flow from the top floor down. Architecturally beautiful, this brewery is unique in style and well worth a visit. Founded in the 6th century, Lewes began life as a Saxon town. Formally the county town of Sussex, Lewes is a civil parish town. 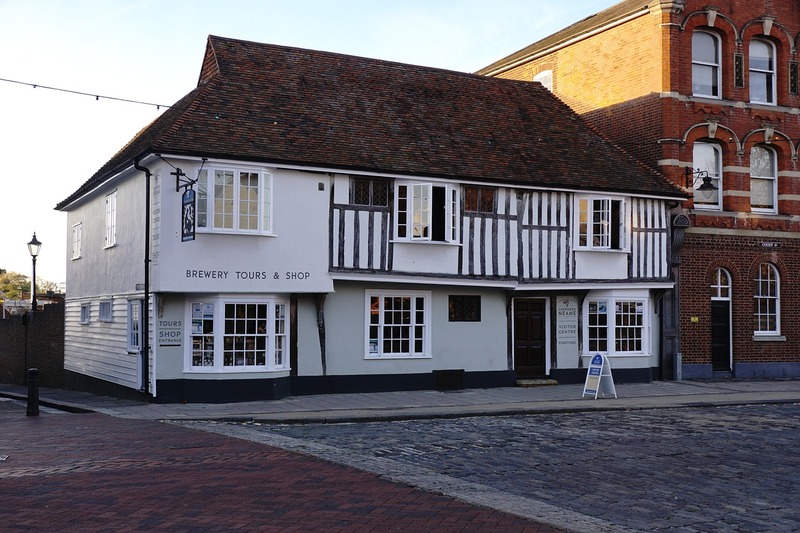 Landmarks include, Lewes Castle, Anne of Cleaves house and Lewes Priory remains. In 1264 the battle of Lewes commenced, leading to the uncrowning of Henry III. In more recent history Lewes became less important. 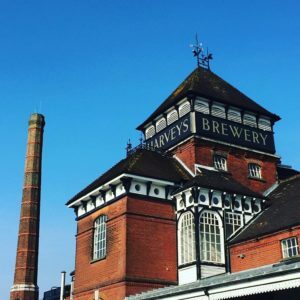 Lewes became a market town in 1790 which also marks the founding of Harveys Brewery. Using water filtered through the nearby chalk downs creates a unique element for the brewery. The water is extracted sixty feet below the brewery creating the renowned beers. The New Forest in Hampshire is home to many villages and towns. On the Western edge of the forest sits Ringwood. The market town lies around The River Avon. The crystal water created the perfect brewery settlement. In olde England Ringwood had one of the highest pub per head populations. This was due to the amount of merchants and drovers that passed through the town. Although beer has been brewing for centuries in this town, Ringwood Brewery established in 1978 and leads the way. The wild boar is the symbol of Ringwood brewery, and wild boars can be spotted roaming in the forest. 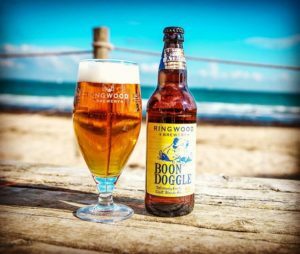 The New Forest National Park provides a perfect location to explore woodlands and experience the coast, whilst enjoying quality beer. Camden Town is a special part of London, to the north of Tottenham Court Road and including Regent’s Canal. Blossoming out of post war London, the area grew into bustling, thriving neighbourhood. There’s everything you need here and more, including London Zoo. The Camden Town Brewery is in Wilkins Street Mews and welcomes visitors to explore the brewery and taste the ale! Bursting with history, explore Bury St Edmunds medieval streets and architecture. Home to Suffolks only cathedral and the abbey ruins, one of the most important medieval monasteries in Europe. The town boasts award winning restaurants, and gastropubs. While also brewing Greene King ales for over 200 years. Being the largest UK pub, retailer and brewer Greene King Westgate Brewery offers tours presenting traditional brewing methods. 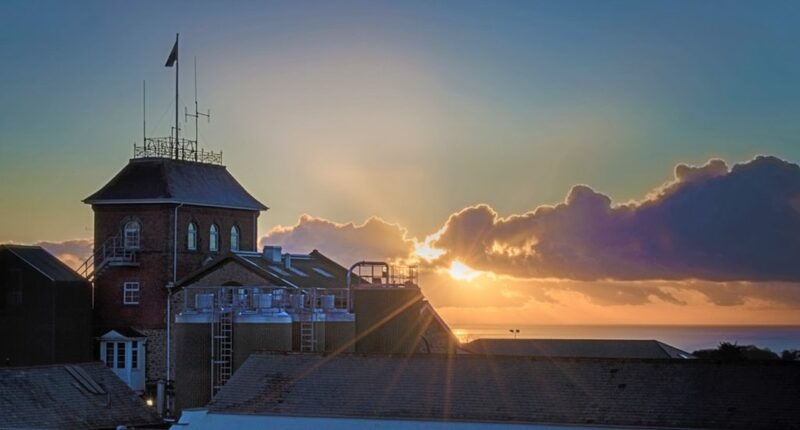 Visitors can also climb to the roof of the brewery to admire the best views of Bury St Edmunds. At one time Burton-Upon-Trent produced one in four pints of beer sold in Britain. Hence known as the capital of brewing still today. Sitting above the National Forest and on the River Trent, Burton offers a contrast of activities. 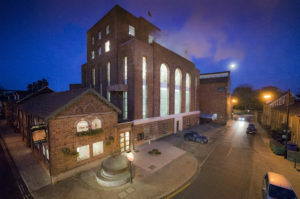 Today Burton is home to The National Brewery Centre. The museum offers daily tours, including the history and development of brewing, and real life stories. The museum provides a unique collection of vintage vehicles to enhance the visit. Even more, The William Worthington micro brewery tops off the tour. Visitors have the chance to sample a range of local ales brewed on site! Edinburgh, the capital of Scotland since C15th, and the second most popular tourist destination in the UK. A popular destination due to the magnificent historical and cultural attractions that it offers. Teeming with breweries in the C19th Edinburgh was a hub for exporting beer globally. However, today nearly all of the C19th breweries have gone. Recently breweries have made a come back in Edinburgh, with independent brewers popping up all over the city. 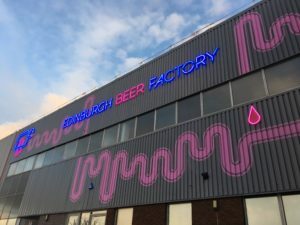 Edinburgh Beer Factory is one of the new independent breweries. The brewery is inspired by the Edinburgh-born ‘father of pop art’ Eduardo Paolozzi. They take underestimated beer styles and present them at their best. A delightful market town surrounded by beautiful North Yorkshire countryside. 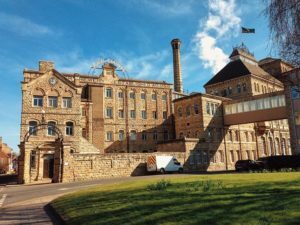 Tadcaster is home to three historical breweries – John Smith’s, Coors and Samuel Smith’s. Yorkshires oldest brewery, Samuel Smith’s still uses oak casks for its naturally conditional ale. 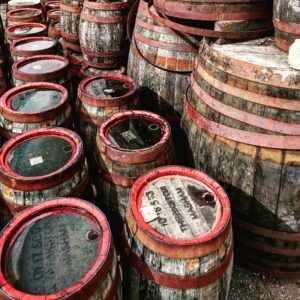 The old brewery has two full time coopers who make and repair the oak casks. Although a relatively small town, Masham has two working breweries, Theakstons and Black Sheep brewery. Theakstons is one of Britain’s oldest family brewing companies. The company is still run by direct descendants of Robert Theakston who founded the company in 1827. Just outside of the Lake District National Park is Cockermouth. It is one of only 51 towns in Britain, designated as a ‘gem’ town. Therefore it is preserved as part of our national heritage. 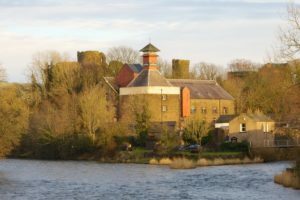 Jennings Castle Brewery is located nearby to Cockermouth. With 190 years of brewing heritage, it is a jewel in the crown of the lake district. Jennings brewery uses water from the lakeland, the tour allows visitors to see the process of brewing. Within the boundary of greater Manchester is the large town of Stockport. The large town sits on the south bank of the Mersey. In the past Stockport was known as an industrial town. 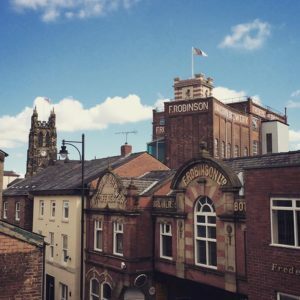 Today, Robinsons brewery is still keeping the brewing industry alive. The brewery provides great tours to visitors. The shire horses usually stay at the brewery, meeting the gentle giants adds to the tour. These are just a selection of towns with a brewery story to tell and a reason to visit. We’d be delighted to hear from our readers about other towns where the brewery story is a part of a town’s visitor offer and part of the story of beer in Britain. In the meantime we do hope you’ll enjoy taking trips with a brewing theme as you explore Britain’s delightful towns. Previous PostClacton-on-Sea, is an attractive Victorian sea side resort with some modern ideas.